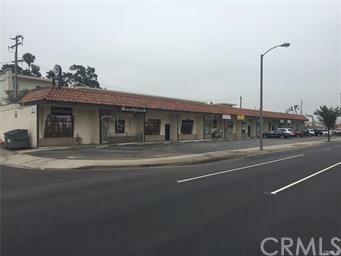 Excellent location for a retail business or office; located just two parcels north of the signalized NEC of Crenshaw Blvd. and Lomita Blvd. This is a very busy intersection with 63,000 VPD on Crenshaw and 34,000 VPD on Lomita. There are several major national retailers immediately to the south at the SWC of the same intersection in the Crossroads Shopping Center such as Home Depot, Starbucks, Office Depot, In-N-Out Burger, Home Goods. The majority of the businesses have been at this location for many years. Directly facing Crenshaw Blvd. excellent exposure, close to Lomita intersection. Long term tenants include Southland Bar, State Farm Insurance, Sue's Kitchen, Paw-Perfect Dog Grooming, and La Bella Napoli Pizza. Great exposure with easy parking. Drive by to view and call/email with questions. Available April 1, 2019 and offers flexible lease terms.